Has the Russian Football Union bought a pig in a poke? 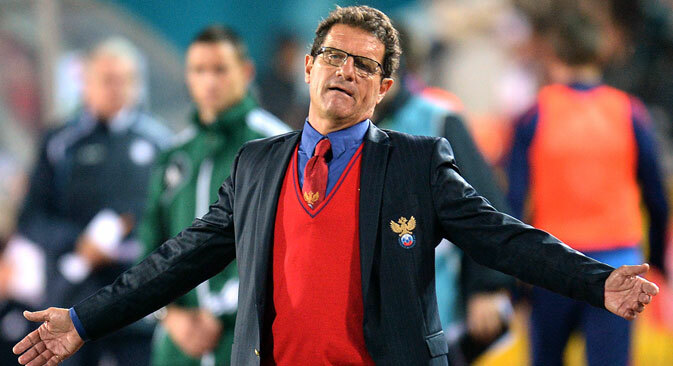 The dire performance of Russia’s soccer team at the World Cup in Brazil has turned the spotlight on the team’s highly-paid coach Fabio Capello, with many questioning not only the size of the Italian’s salary, but also the astronomical compensation he would stand to receive in the event of his early dismissal. With just four years until Russia hosts the 2018 World Cup, the country’s Football Union finds itself painted into a corner.